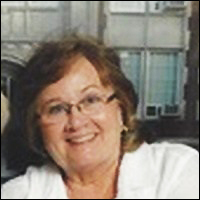 The School of Engineering has learned that Jo Ann Eddy Somers, BE ’67, died July 11, 2018, at her home in Huntsville, Alabama. She was the only female in the Vanderbilt University School of Engineering 1967 graduating class. Somers, 73, was a civil engineering major and a member of Tau Beta Pi and Chi Epsilon engineering honor societies. Somers was struck by lightning while inspecting a seawall under construction in the Hampton Cove neighborhood of Huntsville. She died two weeks later. Somers had an accomplished career as a civil engineer in the Huntsville community, serving in multiple capacities. At one time, she was the engineer of record for half of the residential development projects in Madison County during the North Alabama housing boom of the 80’s and 90’s, the most notable of which was the Hampton Cove community that transformed the landscape of the Big Cove area east of Huntsville. Somers served as the first ever City Engineer for the City of Madison, Alabama, and worked for the City of Huntsville Traffic Engineering department during retirement. She had ownership in multiple engineering companies during her career. She was active with the American Society of Civil Engineers and was the first female president of the Alabama chapter in 1980, also concurrently the first female president of any state chapter for the national society. She won multiple awards, including the 2000 Outstanding Engineer Award presented by the Alabama branch of Associated General Contractors. Her son Andy Somers, BE ’93, is a civil engineer and regional manager for Croy Engineering in Huntsville. In addition, she is survived by her husband, Rick, son Robert Jason, and six grandchildren.